We had the pleasure of staying at Disney's Coronado Springs Resort for 12 nights in December 2016. I've visited Disney a lot of times before, but never stayed onsite until now. 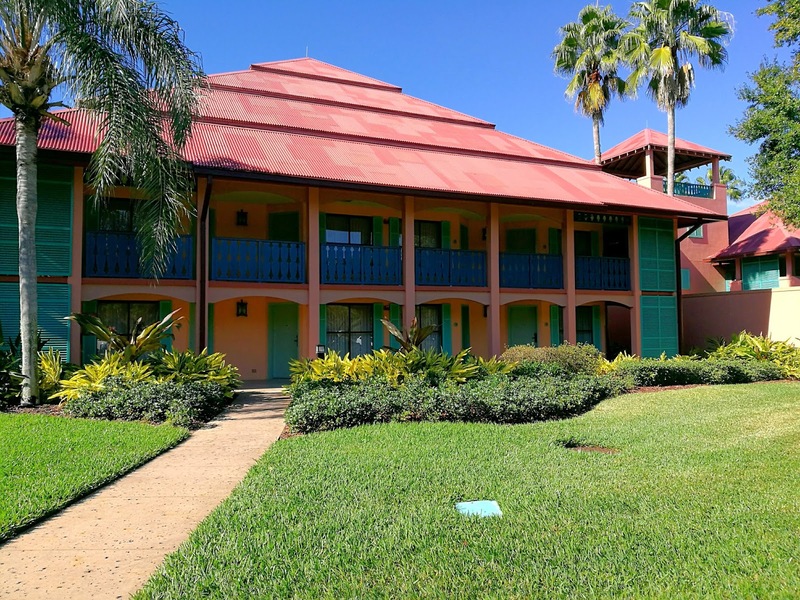 This is one of the less subtle Disney hotels, being themed around Spanish Colonial Mexico, which was evident throughout. Pastel greens and peach tones adorned this site, and references to The Three Caballeros were dotted around. 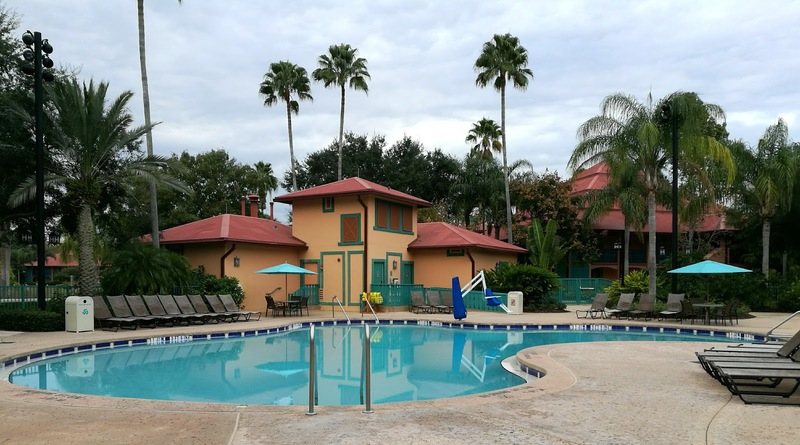 It's classed as a moderate hotel in terms of the 3 (main) levels of Disney hotels. 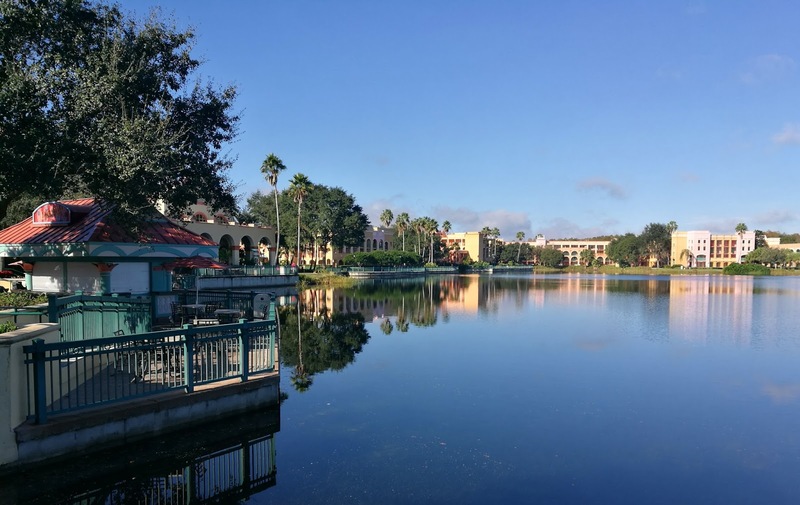 Coronado Springs is split up over 3 buildings across the resort; The Cabanas, Ranchos and Casitas. 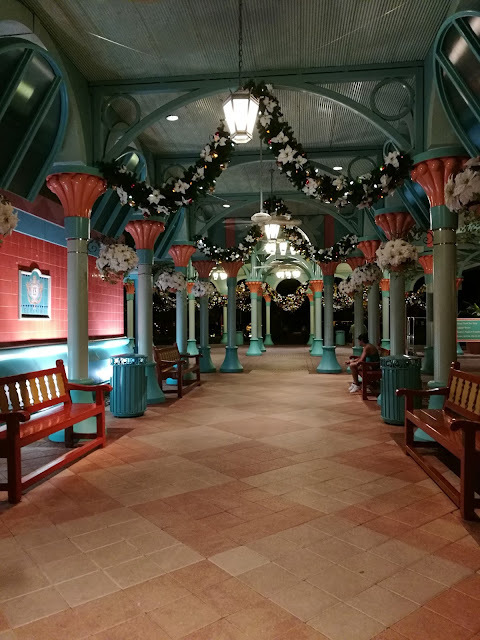 When doing extensive research into this hotel, it appears that people prefer to stay in The Cabanas building, mainly due to convenience/walking time to the main building, which locates the dining, onsite shop etc. However, if you prefer to make a lot of use from the hotel pool (dig site), the other 2 buildings may go in your favour. Everyone wants different things from Disney holidays so this really is down to personal preference. Luckily we were allocated a corner room, which meant our room had 2 windows as opposed to just one. This was great as it let more light into these usually dark rooms. 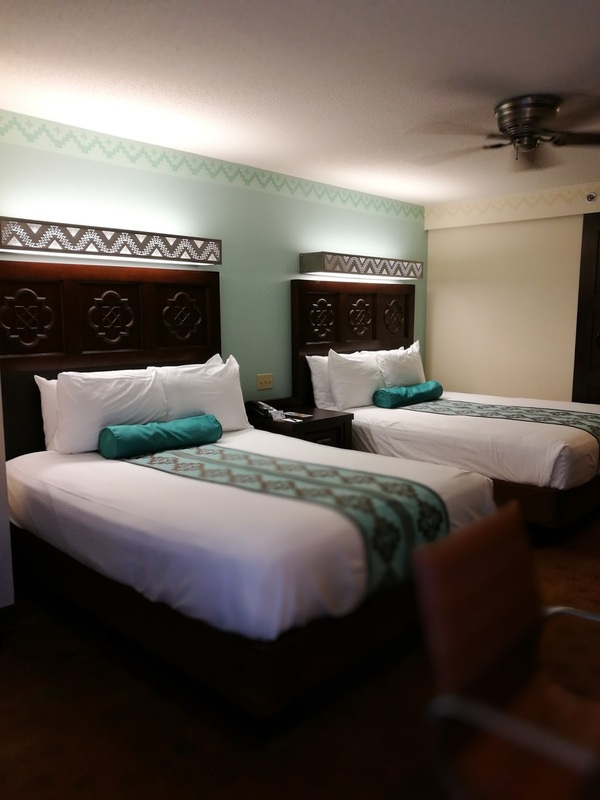 There were 2 double beds which were so comfy and always inviting after a long day at the parks. There was ample storage (for 2 people anyway, however I'm not sure how a family of 4 would have coped...) and the standard appliances that comes with most hotels nowadays (i.e. hairdryer, ironing board, iron, etc). A desk and the TV unit, which included drawers, fridge, coffee making facilities and a very generous sized flat screen TV. The bathroom/dressing area set-up I find to be identical in most American hotels I've stayed in. The vanity area is separate from the bathroom, and this area is always fairly large, allowing you to slide across the wooden doors that separate the bedroom from the dressing area, and allows enough privacy for changing. The bath/shower and toilet are then closed off in another room. This set up frees the sink/mirror area up if you want to continue getting ready but the other person wants to shower! The bathroom was small, as is most Disney hotel's, and there's not a lot of room for manoeuvre, therefore the separate vanity area was useful to shimmy into once showered. Admittedly, small areas of this room were looking a little tired. The carpet looked fairly old and there was small areas in the bathroom that could have done with some plaster/paint, but it definitely didn't affect our stay. I'm sad to say that I didn't think the cleaning service was up to scratch. 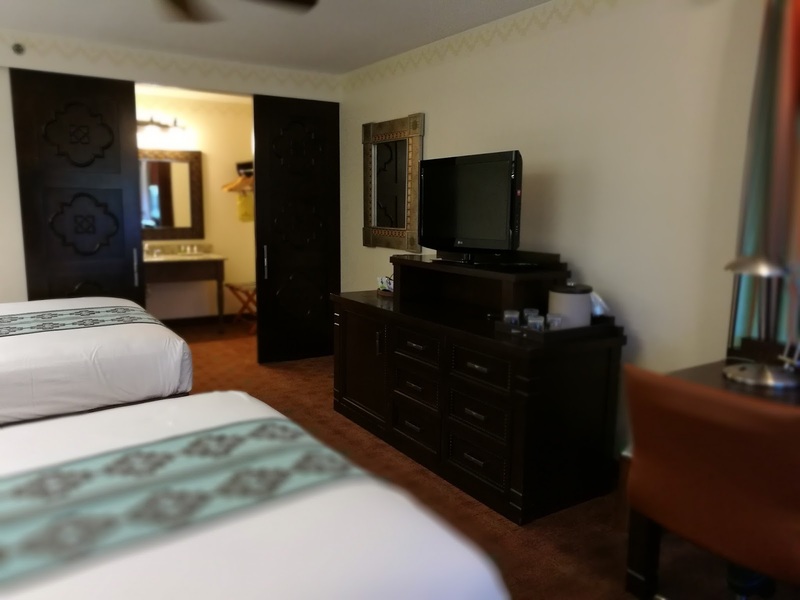 I'm not sure what exactly their job role consists of but one day we came back to our hotel after a long day at the parks and only one bed was made. Surfaces were often left unwiped and products weren't always replenished. I'm not entirely sure of their responsibilities so I'll leave it there! Our view wasn't great - it was of the car park, and usually I'd ask to be moved, however this time I knew we wouldn't be in our room a lot, and being a 30 second walk away from the car park was actually really convenient for us because of our hire car. Noise was definitely not an issue for those that were wondering. The resort was immaculate. There was a huge lake in the middle of our hotel (which was also treated as a running trail). There were manmade 'beaches' with swinging hammocks dotted around, and you could hire huge bikes at an extra cost. There were pretty bridges and luscious flowers that really brought this resort to life. 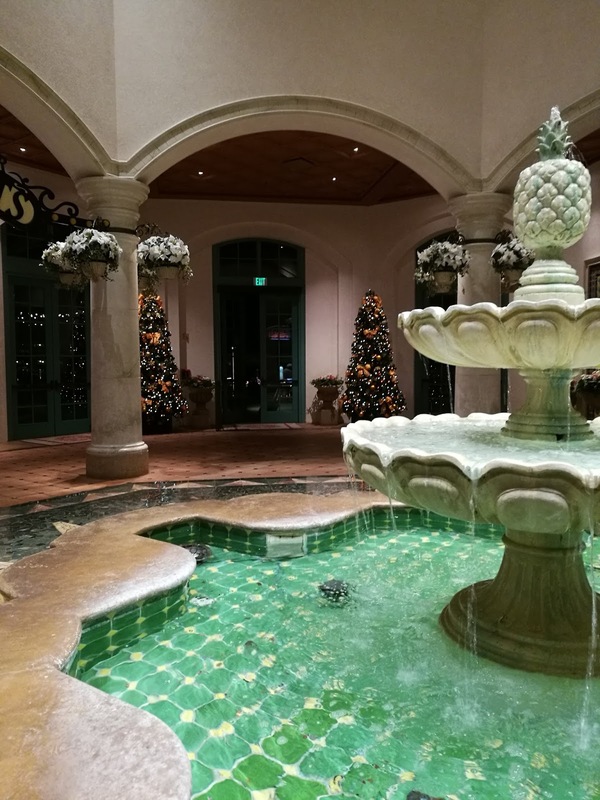 At night, the flower beds lit up and Spanish Mexican music played from them as you took an evening stroll. 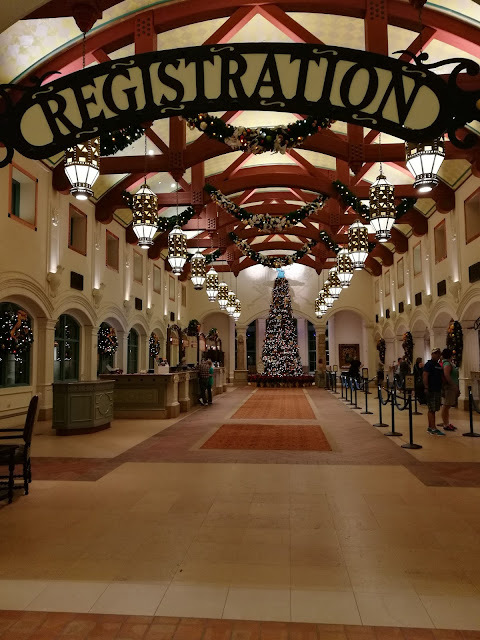 The reception area was impressive and had such a grand feeling to it, I think the fact that it was Christmas and there were lights twinkling everywhere helped! Another aspect that I really enjoyed about this resort was on top of the main pool at the Dig Site, there were 3 smaller pools dotted around the resort, near to each lot of accommodation. 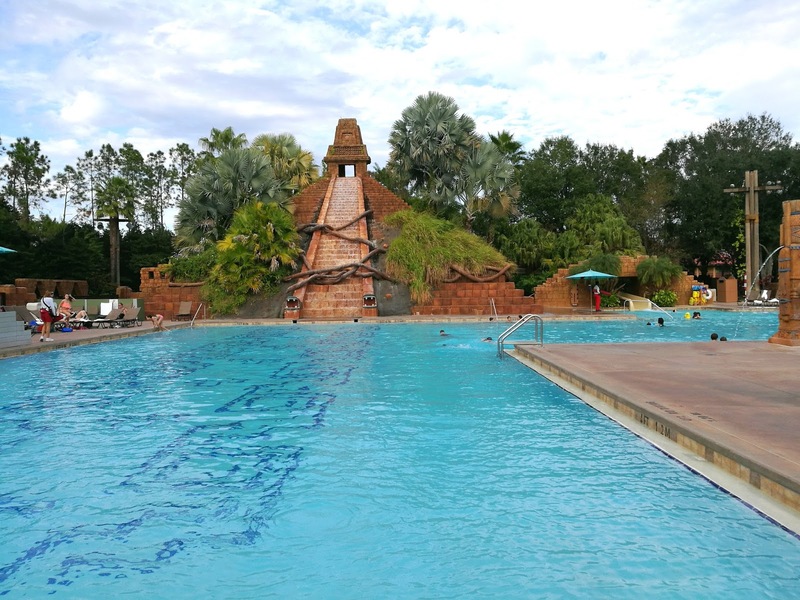 This is perfect for couples without children who want to avoid noisy and chaotic swimming pools, and instead enjoying a relaxing quiet swim. We used our smaller pool on several occasions and the majority of the time we had the whole area to ourselves, with not even a sunbather in sight - perfect. Our pool was located right near a laundrette, which came in perfect for our stay. We had spent 5 nights in NYC prior to arriving at Disney, so half way through our holiday we were in need of some washing! The washing machines and driers were cheap enough to use. There was an onsite vending machine for washing powder etc, however we opted to buy some cheap powder and conditioner from Walmart as we weren't sure how much washing we would be doing. We used 2 of the onsite shops/restaurants during our stay. We visited The Pepper Market on 3 occasions on days where we weren't going to a Disney Park, but still required food. I did extensive research into the quick service restaurants at all hotels, and The Pepper Market came out with good reviews. 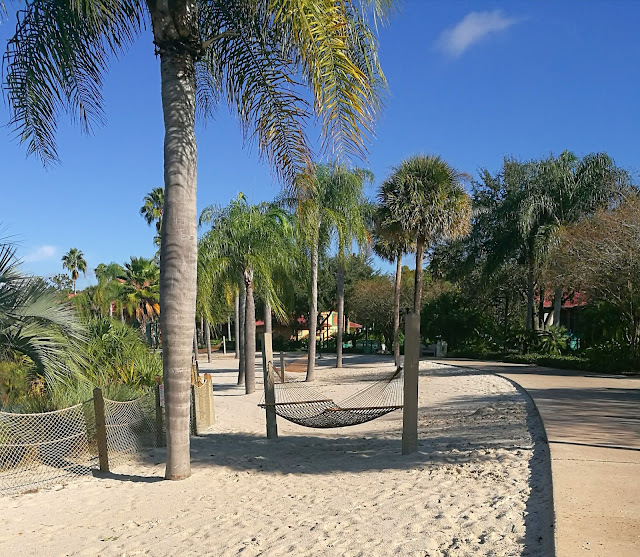 One day we tried Caribbean Beach Resort, just for a change of scenery, and I preferred the feel of The Pepper Market more. The food tends to be the same throughout all Disney hotels, very standard quality. There are lots of different food booths to pick from, each offer a different variety of food, from a fried breakfast, to Mickey Waffles, to baked goods, and then more healthier options. You definitely wouldn't be stuck for choice. Obviously these do get very busy, especially at breakfast time, however it's a good way to save time if you are going offsite and want an early start. We also took several trips to Café Rix, which provided refills for your Disney mugs, and also snacks/ice cream etc. Coronado Springs is located in between Epcot & Hollywood Studios, and very close to Blizzard Beach, but if you have a car, a few more minutes and you're at all of the other parks. 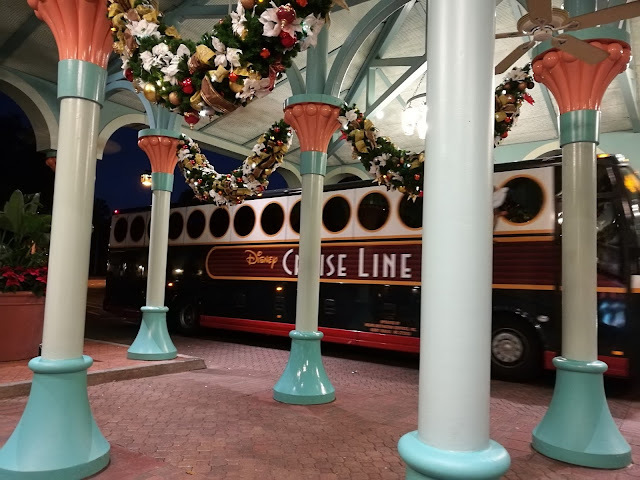 We personally didn't need to use the Disney bus as we hired our own car. 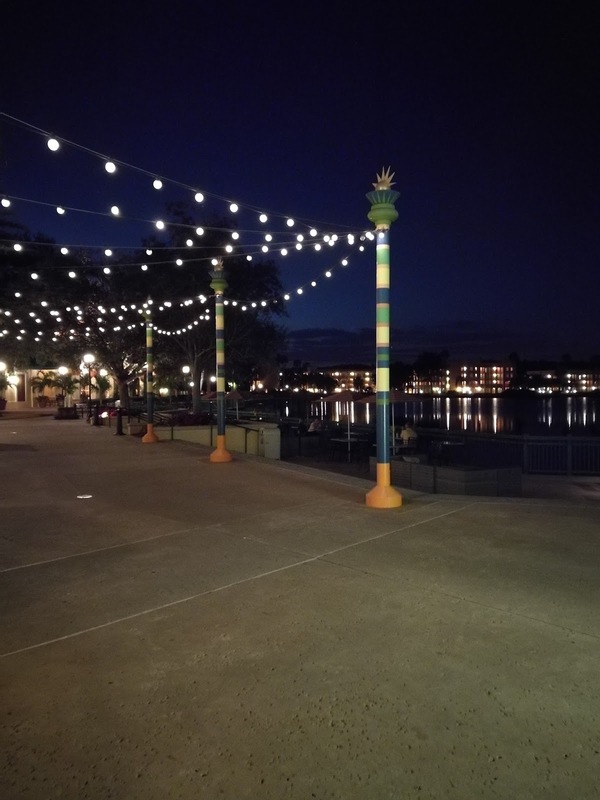 All Disney parks were no more than a 15 minute drive away, including Disney Springs. Although this was our first stay at an onsite Disney property, we ventured into almost every other moderate hotel, and apart from Port Orleans Riverside, I preferred the feel and atmosphere of Coronado Springs and I definitely wouldn't hesitate in returning.